We all try to be more efficient in our lives and make our days as pleasant as possible. And because we spend quite a lot of our time in the car, car manufacturers respond to this endeavor of ours by developing smart cars. We can say that development in the automotive industry is somewhat slower than in other industries. The manufacturers are bound by long certification periods that put constraints on the swift release of new models for sale. Today, manufacturers are developing cars that won’t be available for another seven or eight years. That’s why the current “smart cars” know only a fraction of what we imagine under the term self-driving car. The present solutions deal mainly with connecting the car and the cellphone. 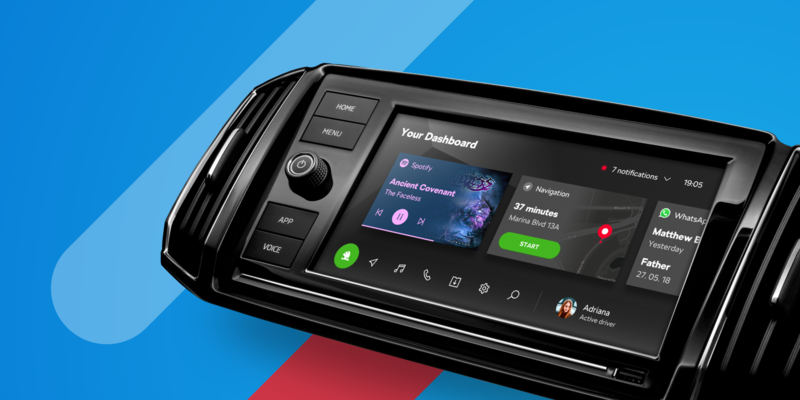 Platforms like Android Auto, CarPlay or the MirrorLink technology adjust the content of the phone in order for it to be displayed on the dashboard (infotainment). It deals mainly with a different user experience. Buttons and icons are bigger and positioned in a better way so you can use the functions by pressing the buttons on the dashboard. Android Auto and CarPlay are on the rise because it’s easier to adjust them, and most drivers use phones with these operating systems. They get into the car, connect the phone via, e.g., the USB cable to infotainment and this triggers the streaming of content from the phone adjusted for the infotainment display and the ride. But it’s necessary to have an app that was developed for these systems on your phone. And, at the same time, infotainment must have a library that can display the content of both solutions. With Android Auto, the issue is the licensing fee, which gets reflected in the price of the car. That’s one of the reasons the platform is not as widely used as it could be. 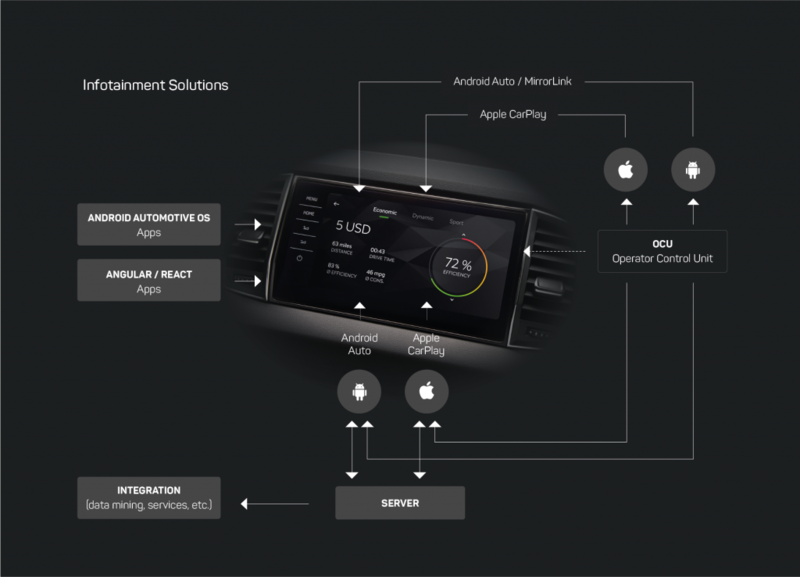 Currently, almost every car manufacturer uses a different infotainment platform. But we expect that it’ll get unified under two or three platforms in the future. This is due to the fact that the manufacturers of mobile phones or televisions have already dealt with the question that car manufacturers are asking currently: Should we develop our own solution or use one of the universal ones? For us, infotainment is the future. Its developers compete for orders at car manufacturers and the pressure form their customers make them use unified solutions. If they choose a new solution and make it happen, Android Automotive will set the trend for the infotainment of smart cars. As part of our automotive projects here at eMan, we connected Android with a car, gathered real-time data, and displayed the data via a mobile app. We had to tackle issues such as the phone’s performance, because the given app only has limited dedicated computing power. And that’s something that could change in Android Automotive in the future. We know how to develop apps for the processing of data from your car in real time. Today, it concerns over 60 different sensors that continually send data as a numerical series, which are practically always accessible online. Basically, one app receives all data and supplies it to other add-ons in the same app. We know how to connect to data from the car, and we know how to read and process these. It’s data about RPM, current speed, pressure in the turbocharger, and so on. We can combine these data with other data from the phone, resulting in a user friendly and understandable output. Our extensive know-how, which we gained during our cooperation with car manufacturers, is applied during the design of suitable user interfaces (UX and UI). 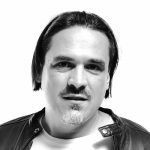 We know how to design solutions for both, left- and right-hand traffic, and we can easily deal with every individual localization according to the specific needs of users in a given country. We know how to develop an app for use in connection with infotainment. We work with the mirroring technique for infotainment. 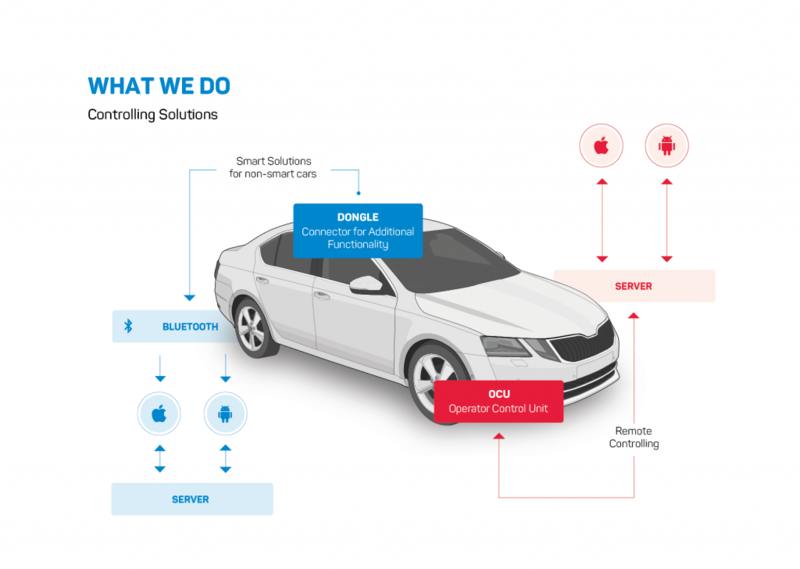 We develop smart solutions for dull cars, and solutions for the remote control of cars. Last but not least, we also develop infotainment apps. Thats why we are going to Vehicle Display Symposium 2018 at Detroit, which take place from 25th to 26th of September. There are presenting all producers of infotainment and we are proud to share our experience with them.